We invite you to join us to celebrate Salt ‘n Light’s ongoing transformational ministry among teenagers. Our evening together will explore several integral parts of Salt ’n Light including, worship, creative arts and testimonies from those impacted by the ministry. Come experience first-hand the work that inspires thousands of teenagers in their relationship with Christ each year. For more information about registration, contact Ryan Murphy at rmurphy@snlym.com or 717-610-1300. Register today for Celebrate the Light! We would be truly grateful if you would consider donating an auction item to help make this evening exceptional. All proceeds from the event go to directly furthering the ministry of Salt ‘n Light. Suggestions for donations are many and varied, including gift certificates, and gift cards for products and/or services, gift baskets, retail merchandise, etc. We would greatly appreciate any donation that you contribute to support this wonderful ministry. 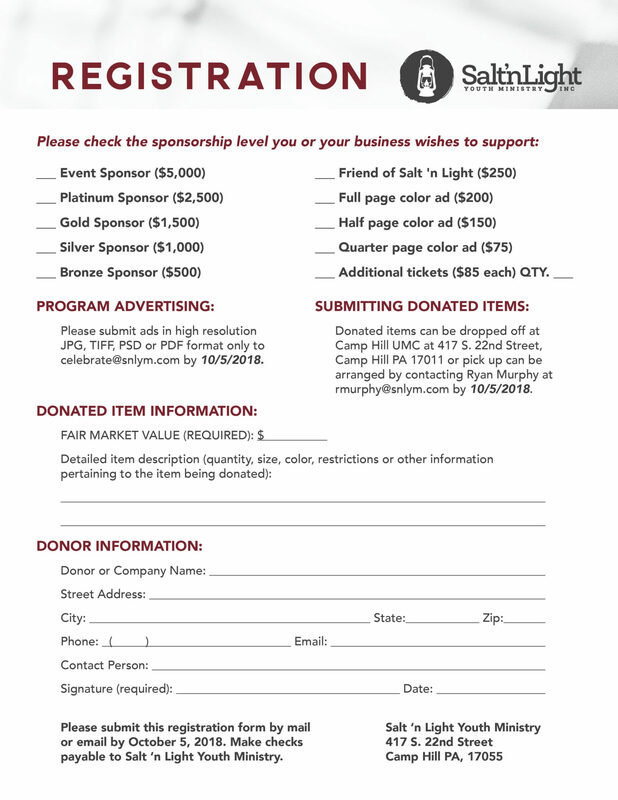 Corporate Sponsor opportunities include monetary donations, auction item donations or program advertising. For more information, contact Ryan Murphy at rmurphy@snlym.com or 717-610-1300. Place an advertisement in the at event program . 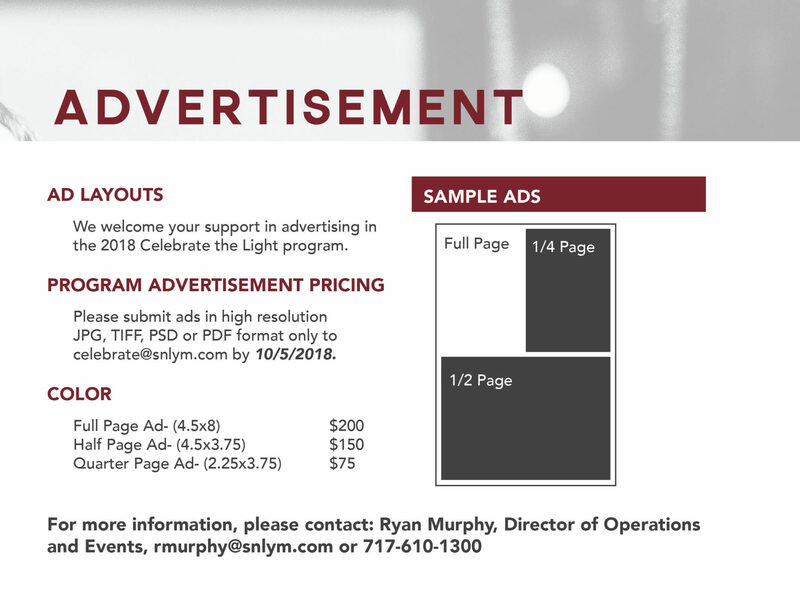 For more information, contact Ryan Murphy at rmurphy@snlym.com or 717-610-1300.